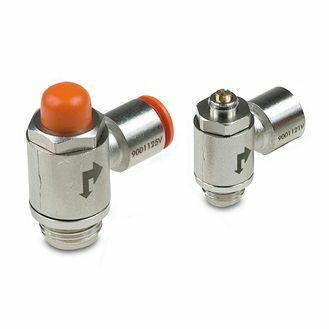 9001111V Ø4x1/8“ Valve MRF O Brass flow regulator M | DamenCNC B.V. 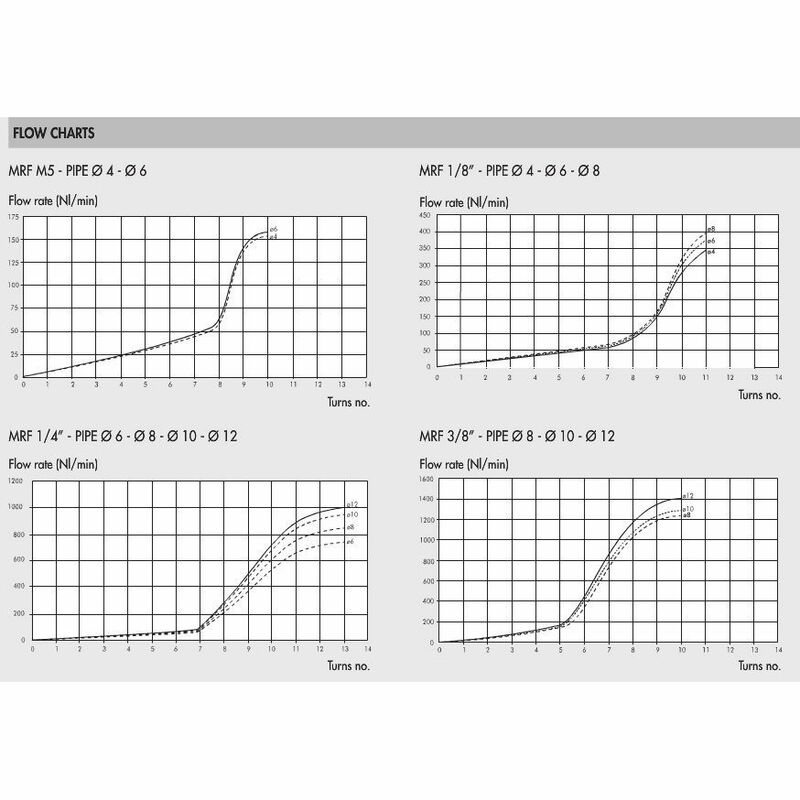 There are 3 different version of the flow regulators. The bidirectional version, limits the flow in both directions. 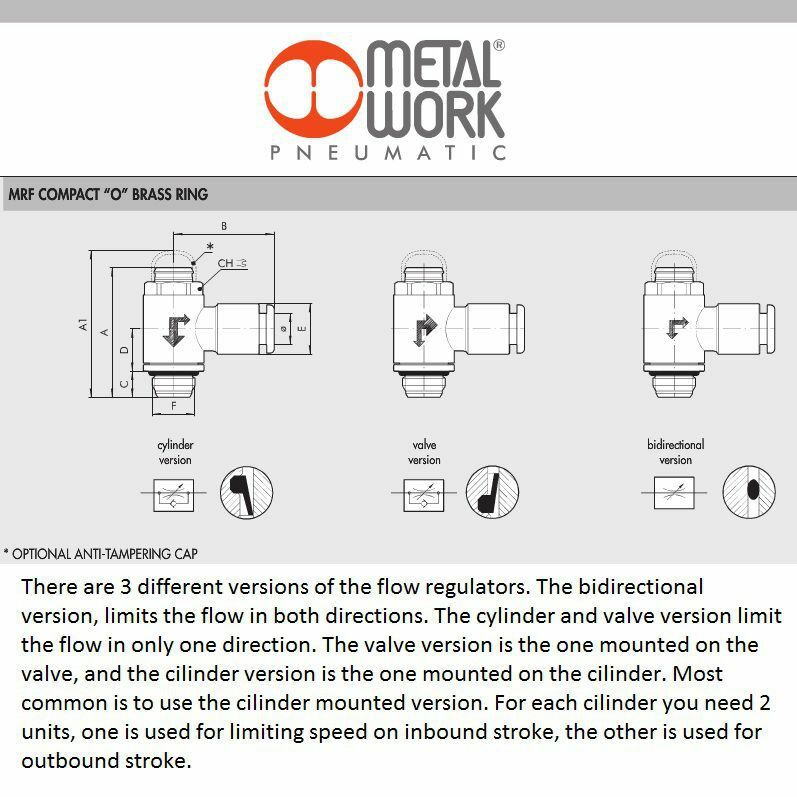 The cylinder and valve version limit the flow in only one direction. The valve version is the one mounted on the valve, and the cilinder version is the one mounted on the cilinder. 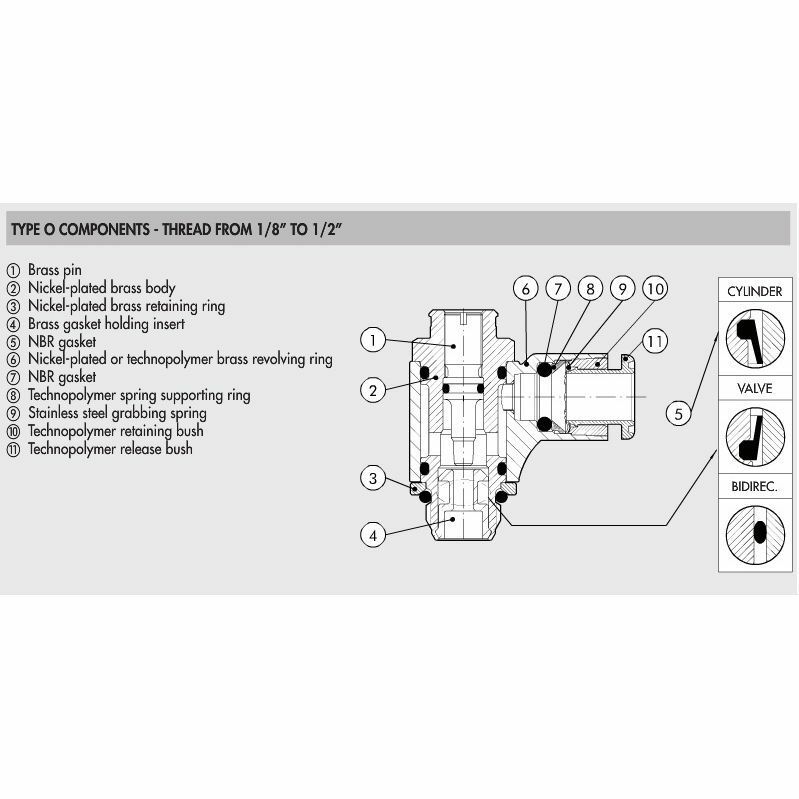 What we offer here is the valve mounted versions. For each cilinder you need 2 of these units, one is used for limiting speed on inbound stroke, the other is used for outbound stroke.